Losing weight is difficult enough. But dieters are also faced with the fact that odds are stacked against them for long-term success. Researchers estimate that only about 20 percent of dieters maintain weight loss after a diet. Are you going to be one of them? To increase your chances of weight maintenance after a diet, plan for a transitional phase after you reach your goal weight. During this time, make slow adjustments to your lifestyle and watch the effects on the scale. Abrupt changes are likely to cause weight regain. The 10 habits below will help you to move from the dieting phase, through the transitional phase and finally into the maintenance phase, where your weight remains stable. 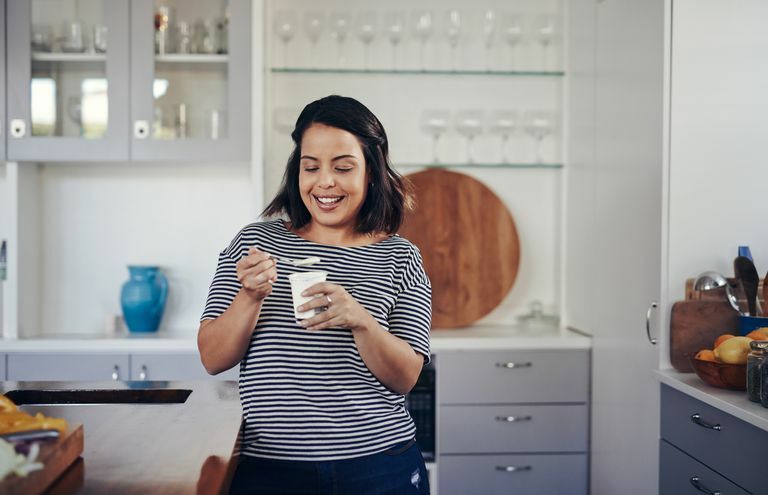 To improve your chances of permanent weight-loss success, try to incorporate these 10 habits into your lifestyle as you move through all phases of the dieting journey. Moderate weight loss works best. Physicians recommend that dieters lose no more than one to two pounds per week. This conservative approach helps patients avoid health risks associated with drastic weight loss. It also allows the dieter to learn new eating habits that will protect their weight loss in the long run. Portion control, healthy snacking, regular exercise, and reading nutritional labels are key skills that you'll master if you choose the slower approach to weight loss. Make a slow transition out of the dieting stage. Once you reach your goal weight, the worst thing you can do is to resume your old eating habits. Remember that those are the eating habits that caused the weight gain in the first place. It is reasonable to gradually increase caloric intake, but experts generally suggest adding only 200 calories per week until your weight stabilizes. Stay connected to your sources of support. The same people who supported you in the dieting process will help you maintain your weight loss. They are in the best position to respect the magnitude of your accomplishment and give you a gentle reminder if you lose track of your success. Communicate with them and give them permission to offer respectful guidance if needed. Continue to challenge yourself with new goals. Now that you've mastered one of the toughest challenges you'll ever face, stay on your toes by setting a new goal. It doesn't have to be related to weight loss. Achieving both short-term and long-term goals will help you keep your confidence level high. Stay educated. Take healthy-cooking classes, go to health seminars and participate in fitness fairs. Surround yourself with reminders of what living a healthy life really means. You may also want to stay involved online. Become a mentor. One of the best ways to stay educated is to teach your weight-loss skills to a newbie. By becoming a mentor, you'll be required to stay on top of new research and trends. Exercise. Research into permanent weight loss reveals that exercise is one of the best predictors of long-term success. Thirty to 60 minutes of moderate exercise every day will keep both your body and mind healthy. Eat breakfast. Studies have also found that people who eat breakfast are more successful at keeping the pounds at bay. Make sure that your breakfast includes whole grains and a lean source of protein. Weigh yourself. Keep a scale in your bathroom and use it once a week. Studies show that checking your weight on a regular basis is a practice shared by people who successfully keep their weight off. Keep regular appointments with your healthcare team. Your healthcare provider or registered dietician will be able to measure your body fat percentage or evaluate your BMI to make sure that your numbers stay healthy. They will also be able to address health issues that arise when your body shape changes. Outside of the office, you can track your own progress by entering your measurements into an easy-to-use calculator like the one below. James W Anderson, Elizabeth C Konz, Robert C Frederich and Constance L Wood. "Long-term weight-loss maintenance: a meta-analysis of US studies." American Journal of Clinical Nutrition Vol. 74, No. 5, 579-584, November 2001. James W. Anderson, MD, Satit Vichitbandra, MD, Wei Qian, MS and Richard J. Kryscio, Ph.D. "Long-Term Weight Maintenance after an Intensive Weight-Loss Program." Journal of the American College of Nutrition December 1999 vol. 18 no. 6 620-627. Wing RR, Phelan S. "Long-term weight loss maintenance." American Journal of Clinical Nutrition 2005 Jul;82(1 Suppl):222S-225S. Physical Activity and Weight Control. Weight Control Information Network, U.S. Department of Health and Human Services.